There has been much debate lately in the advanced painting class I teach at the Art Center, Highland Park, over whether or not an artist should explain “what she meant” when she created a work of art. 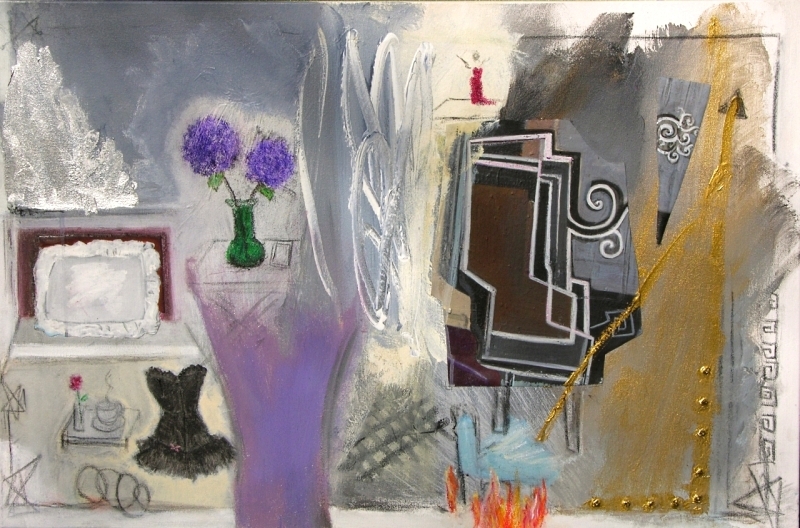 Stephanie looked at Susan’s series of paintings and asked her, “What were you thinking about? What does this mean to you?” Susan replied, “It doesn’t matter what it means to me, what matters is what it means to you, to the viewer.” Stephanie made the case that it is interesting to know what the artist’s intention or story is. I go a little further than Serena. Not only do I enjoy hearing what other people bring to my work, I have found that sharing my version seems to quash their creative response. Once they hear my “version,” they no longer feel theirs is valid. I always hope that the engaged viewer actually has a creative experience when reacting to art, whether it’s visual, music or literary. This is a fascinating idea: that art creates a unique consciousness in the viewer’s experience of it. This goes beyond what I tell my students, that the art should always “speak for itself.” What do you think: do you prefer to know the artist’s story behind his/her work, or would you rather experience it without explanation? Art Fraud Case Begs Question: What Makes Art Valuable? Today, two parallel stories of art authentication/fraud enquiry appeared in the news. 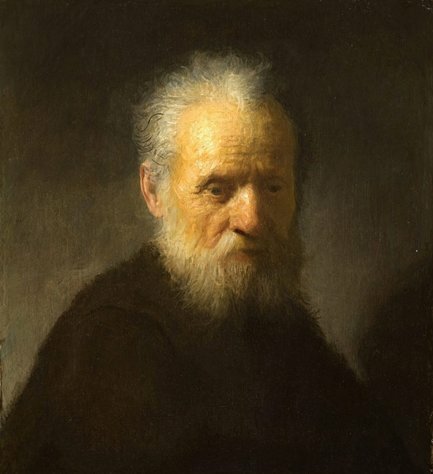 “Old Man With Beard”, thought since the 1960’s to be a skilful copy by one of Rembrandt’s students, was examined with the latest x-ray technology, revealing a hidden drawing of a Rembrandt self-portrait beneath the painting, clinching its authenticity as his work. 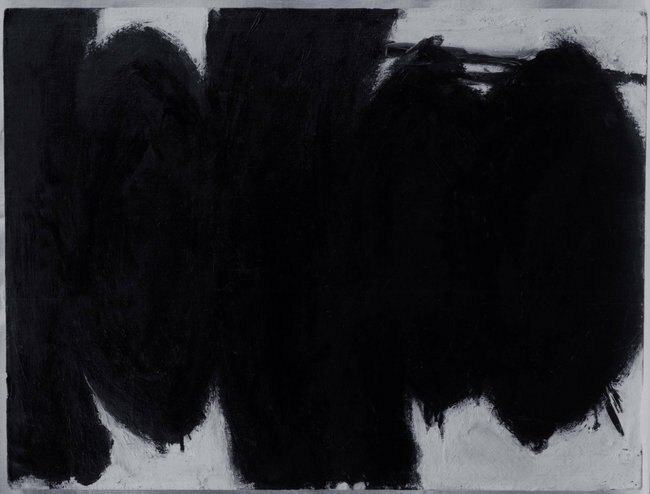 On the other hand, the New York Times reveals in an explosive story today that millions of dollars of paintings purported to be by Robert Motherwell, Jackson Pollock, Mark Rothko and Richard Diebenkorn may be fakes. They were brokered by Glafira Rosales, who claimed they were from the personal collection of a “close family friend” who insisted on anonymity, and sold by blue-chip galleries and art dealers, including Knoedler & Co., which abruptly closed its doors this week. The Times article details the FBI investigation, which is fascinating. 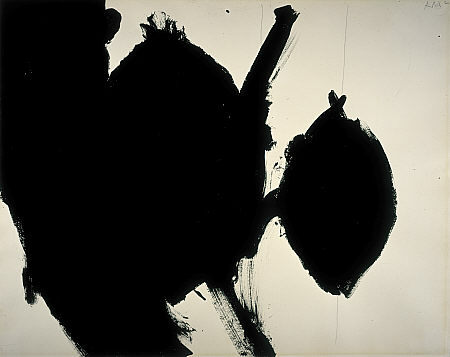 In addition to a lack of provenance (the documented ownership trail of a work of art), the paintings were not subjected to simple pigment tests, which have now revealed that some of the paints used to create them were not yet available at the time, to the artists who supposedly created them. Curators and dealers with sterling reputations are falling under the juggernaut of this investigation. It is incredible to me that these fakes, which convinced the experts (who weren’t looking too hard), could have simply been done without anachronistic paints, and might still retain their “value”. The lack of the most basic due-diligence on the part of the “experts” is stunning, and calls to question their complicity in the fraud. How many more are out there? 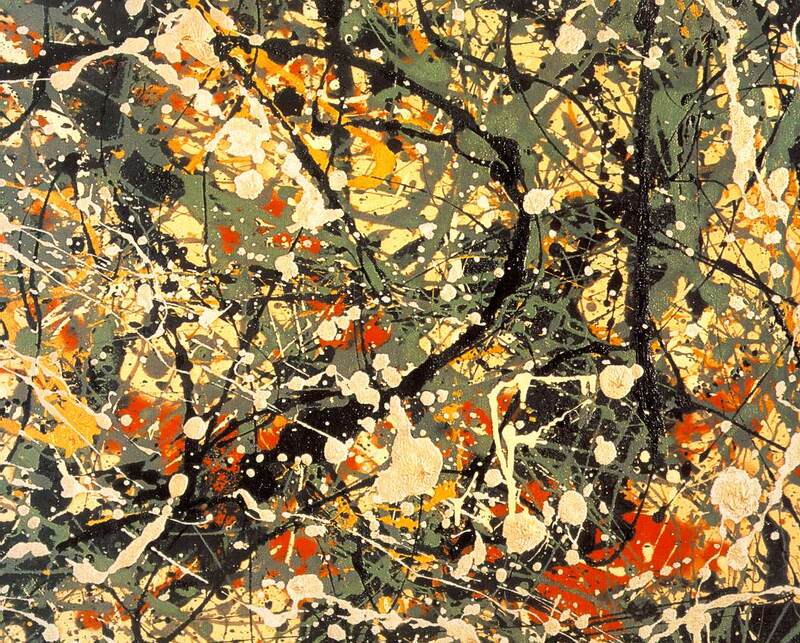 Beyond all the detective work, I wonder: If a painting looks like a Pollock or a Motherwell, and is loved and respected for its “inspiration”, is it really less of a “masterpiece” than an authentic work? If we really can’t tell without the help of a lab, is it really that special? 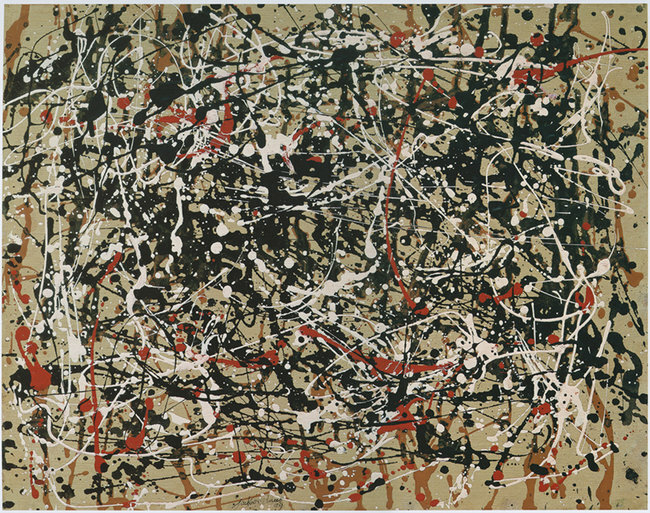 I like Motherwell, Rothko and Pollock, but $17 million?? I daresay that convincingly faking a Rembrandt would be beyond the technical and artistic abilities of anyone alive. The Rembrandts that have been called into question were produced by his students, under his tutelage, perhaps with help from his own hand. If a painting is so easily copied, what’s all the fuss? I like to organize and conduct art tours. It’s a good way to make sure I get out and see what’s around in the art world. I offer the tours as a class to my painting students, artists and friends. I spend time going over gallery and museum schedules and calendars, and map out itineraries of exciting work in Chicago and environs. Ssometimes we visit artists’ studios and invite them to be our guest for lunch. This offers a great opportunity for discussion of practical and creative issues. We get to to see where and how artists work; ask what problems arise and how they solve them; and get an inside view to their creative process where it happens. Recently, I took five artists (including Talia, an insanely talented sophomore at the Art Institute of Chicago) and an art fan to the Milwaukee Art Museum. We watched the sailboats on Lake Michigan from the wonderful outdoor cafe at the museum.. We viewed American Modernisms, two shows featuring the paintings of The Eight (a group of early 20th century American artists, including Robert Henri and John Sloan) and a fantastic exhibit of the eccentric, idiosyncratic wood furniture of Charles Rohlfs. Afterwards, we traveled south to Kenosha and visited the Niemi Gallery. Bruce is a successful sculptor with works in many public and private collections. He lives just over the state line within spitting distance of I-94,which is convenient for clients to visit from the Chicago and Milwaukee areas. He represents a varied group of artists, most of whom have works installed in the beautiful outdoor grounds of the sculpture garden. Suzi (Bruce’s business partner and wife) mows the garden paths, being careful not to knock over any of the sculptures or take out the teeming beds of wildflowers surrounding them. While we were there, a blue heron took off from the pond at the edge of the property. Suzi handles the business end of running a gallery, while Bruce produces his own work and selects their stable of artists. He finds that representing other artists doesn’t compete with sales of his own work, and that all the artists benefit from increased exposure and traffic at the property. He participates in SOFA annually. A graduate of NIU, he was chosen to create a memorial for the five students who were slain at the NIU campus in 2008 in a campus shooting that also wounded 18 others. As an alumnus, he is donating a substantial part of his time to the memorial. Bruce varies his work to suit the demands of his clientele and also his weathered body, which feels the effects of his work. He has to pace himself to prevent the onset of numbness resulting from prolonged use of the grinder, which he uses to refine the edges of his welds. He finds that there is a preference these days for stainless steel over steel that rusts, due to the misuse of Cor-Ten steel by artists in the sixties who didn’t weld their sculptures properly, resulting in monumental failures that have given rusted steel a bad name. In addition to the sturdy works outdoors, the Niemis feature more fragile works in a small indoor gallery. Vivian Visser, whose delicate constructions containing natural materials are shown at the indoor gallery, connected us with Bruce and accompanied us on the art tour. Her work was seen at the Niemi Gallery by curator and botanical artist Derek Norman, who invited her to exhibit in a group show of botanical art at The Art Center, Highland Park. I always come back from these trips with inspiration, ideas and insights into how artists make it work.